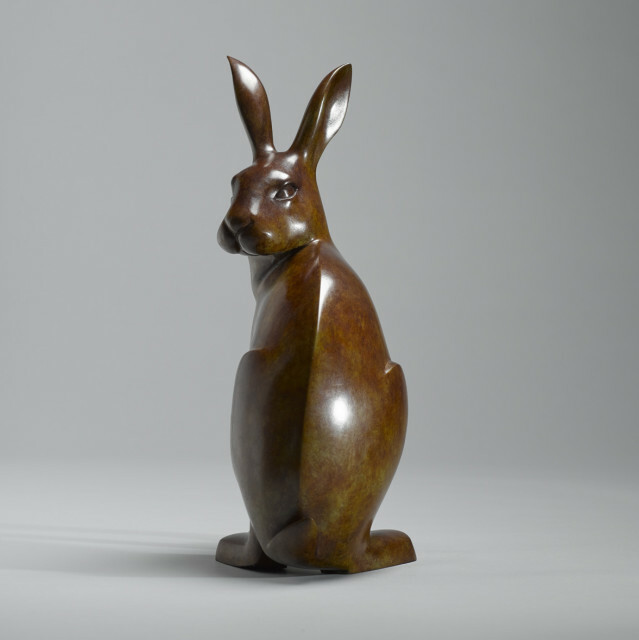 Peter Killeen was born in Dublin in 1977 and began working for the highly regarded Cast Bronze Foundry in 1996. It was here that Peter was first introduced to the Cire Perdue (lost wax) method of bronze casting and subsequently he began casting his own work. In 2003, he travelled to Australia to work with the Australian Bronze Sculpture House in Sydney. During his three years in Sydney, he became head bronze caster. After years of working alongside some of Ireland’s leading sculptors, Peter now works part-time with Cast, while also creating his own pieces. He continues to be hands-on at every stage of the process and his careful attention to detail has been informed by his experienced foundry background. His sculptures have been exhibited at the Royal Hibernian Academy, the Oireachtas, the Wexford Opera Festival and at Sculpture in Context. His works are included in both public and private collections including AIB Bank, Wexford County Council and in private collections in the UK, Japan, USA, Australia and Switzerland.